I have a long list of favorite comforting foods. Hot chocolate is one of them. Once you taste this healthy hot chocolate you won’t be able to order one at the cafe cause the cafe one is way too sweet. 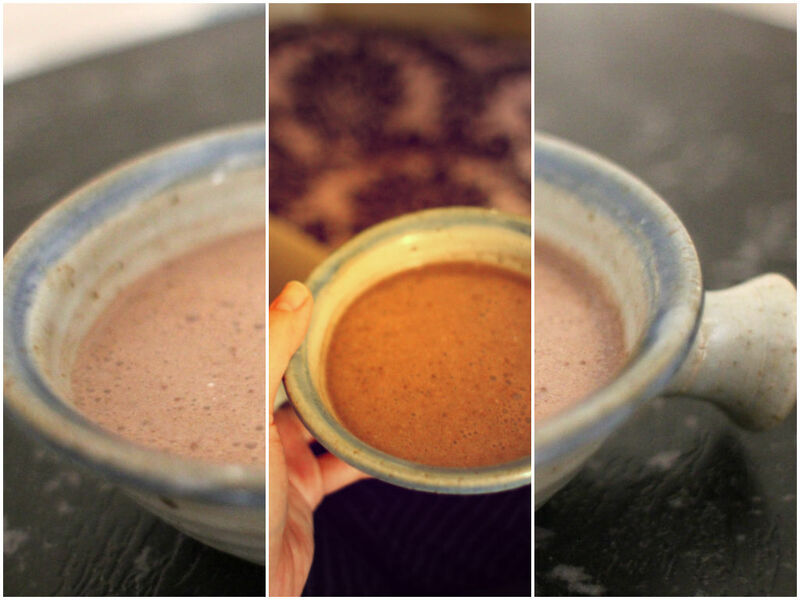 My version is made of raw cacao and almond milk, full of goodness and guilt-free. Raw cacao is full of antioxidants and happy hormone serotonin, boosting your immune system and mood. Almond milk has plant protein, healthy fats and vitamin E for healthy heart and glowing hair and skin. Trust me on this! It tastes incredible as good or even better than the conventional recipe.